On February 18 at 9:00 AM EST, please join the Global Public-Private Partnership for Handwashing and the USAID/WASHplus project for a webinar discussing why water, sanitation, and hygiene (WASH) matter to neglected tropical diseases (NTDs), and addressing the need for new approaches for multi-sector initiatives to promote equity, poverty alleviation, health, and well-being. Featuring experts from WaterAid, Sightsavers, the FHI 360-led USAID/WASHplus project, and USAID, this webinar is an excellent opportunity for those working in both WASH and NTDs to learn about the global landscape of WASH/NTD strategy and glean practical insights from projects that are operating in this context. 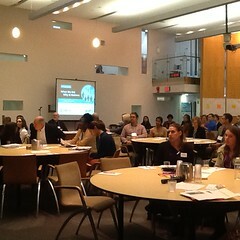 Renuka Bery, MPH, Senior Program Manager for the USAID/WASHplus project, has an extensive background in WASH integration. Sophie Boisson, PhD, Technical Officer for Water, Sanitation, Hygiene and Health at the World Health Organization (invited). Edouard Tianhoun, RN, MSc, WASH-NTD Coordinator for the USAID/WASHplus Burkina Faso pilot project, has been in involved in WASH programs in his native Burkina Faso since 2011. Yael Velleman, MSc, Senior Policy Analyst on Health and Sanitation, leads WaterAid’s strategy, advocacy, and research agenda on health. Merri Weinger, MPH, Senior Environmental Health Advisor at USAID’s Bureau for Global Health, has over 30 years of experience in health programs at USAID, WHO, and PAHO. Geordie Woods, MPH, Technical Adviser-NTDs at Sightsavers, specializes in health behavior and strategic communication with a technical focus that includes NTDs and WASH. Following the presentations there will be a Question & Answer session. WASHplus is implementing a pilot program in Burkina Faso that is designed to develop an integrated WASH–NTD model that can be scaled up in-country and replicated elsewhere. Burkina Faso is a country with very little latrine coverage, relatively poor hygiene practices, and pockets of high burden of disease related to water, sanitation, and hygiene. Without a serious focus on face washing and environmental cleanliness. WASHplus is working in Burkina Faso to partner with stakeholders at district and provincial levels to implement a comprehensive WASH–NTD integrated program in one district. 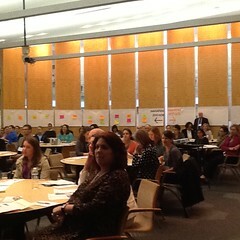 We will then document and disseminate the learnings gained through this pilot program. WASHplus will also engage multiple stakeholders inside and outside of government, including working with existing government structures at multiple levels, such as local government that has the mandate for water and sanitation at the local level. 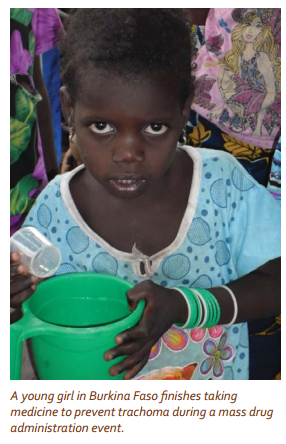 Typically, WASH and NTD programs have not worked together in Burkina Faso, though some precedence exists for inter-sectoral collaboration through the WASH-Nutrition group that has been spearheaded by UNICEF and embraced by government stakeholders. 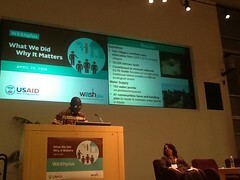 To learn more about WASHplus work in NTDs visit the WASHplus website (http://www.washplus.org/wash-ntds). WASHplus is exploring WASH interventions that can be used to help eliminate and/or control trachoma, soil transmitted helminthes, and schistosomiasis. The activities are conceptualized in three phases: desk review; joint NTD/WASHplus assessments in two countries—Bangladesh and Burkina Faso; and pilot implementation in one country. 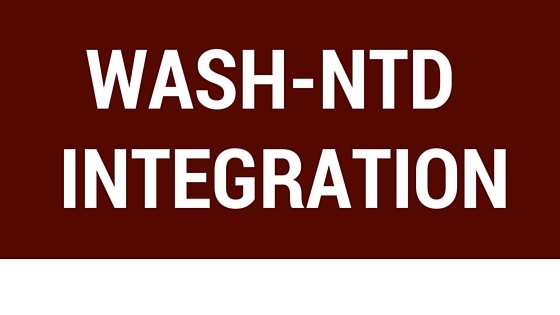 The pilot WASH-NTD integration activity is being implemented in Gnagna Province, eastern Burkina Faso. Following an assessment visit, WASHplus hired a coordinator who is establishing relationships with the Ministry of Health’s neglected tropical disease division, UNICEF, other USAID partners and local organizations engaged in WASH and NTD activities. WASHplus will precede program implementation with a baseline study on WASH practices and NTD knowledge in intervention villages. WASHplus will also assist the government to facilitate a WASH-NTD integration working group at the national level and in the communes in which WASHplus will work. The community-based behavior change intervention will be carried out by a local organization and supported, if feasible, with a radio campaign. The materials developed by the project will be available for the government and other key partners to use in other areas of the country, when the WASHplus project closes in 2016.